Claude Rawlings, a poverty-stricken young man, feels stymied by life, until he finds an old piano and embarks on a musical odyssey that takes him into a world of wealth, power, and fame. By the author of Stop-Time. 75,000 first printing. Tour. In the dim light of a basement apartment, six-year-old Claude Rawlings sits at an old white piano, picking out the sounds he has heard on the radio and shutting out the reality of his lonely world. 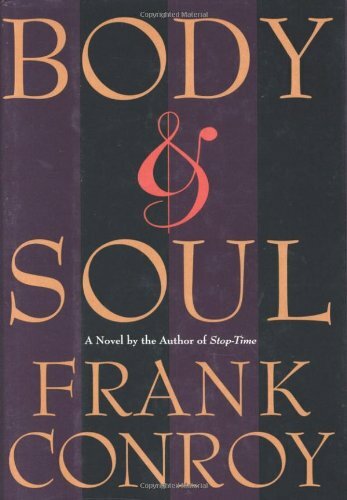 <br />The setting is 1940s New York, a city that is &quot;long gone, replaced by another city of the same name.&quot; Against a backdrop that pulses with sound and rhythm, &quot;Body &amp; Soul brilliantly evokes the life of a child prodigy whose musical genius pulls him out of squalor and into the drawing rooms of the rich and a gilt-edged marriage. <br />But the same talent that transforms him also hurtles Claude into a lonely world of obsession and relentless ambition. From Carnegie Hall to the smoky jazz clubs of London, &quot;Body &amp; Soul burns with passion and truth--at once a riveting, compulsive read and a breathtaking glimpse into a boy's heart and an artist's soul.